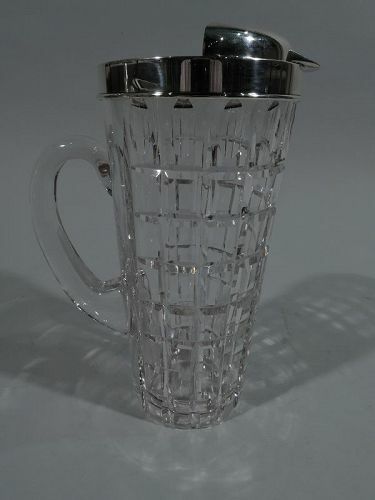 Midcentury Modern sterling silver and glass bar pitcher. Retailed by Cartier in New York. Clear glass body with straight and tapering sides with c-scroll handle. 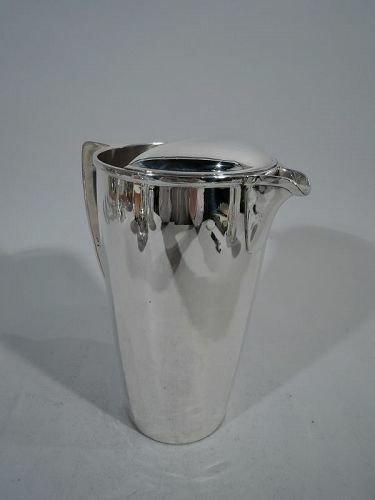 Sterling silver collar with flat spout and raised ice guard. Faceted rectilinear grid suggestive of a picket fence or barred prison window. A great artifact from the swinging side of postwar domesticity. Fully marked. Very good condition.